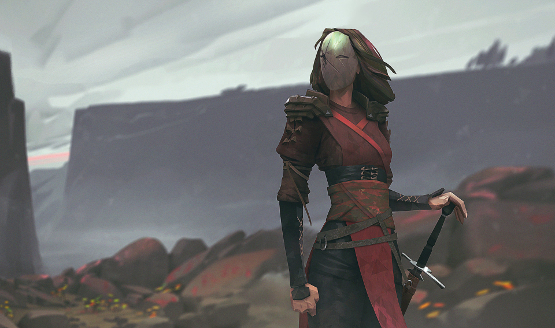 Absolver update 1.16 is now available on PlayStation 4. It brings updates to the game’s prestige system, changes how schools work, and there’s also new gear and 3v3 maps to check out. Plus, a ton of balance changes to the melee action game. Other quality of life improvements are featured in this update, such as the ability to copy/paste decks in your deck selection menu, making it easier to refine and iterate on your favorite decks. The 1.16 update features the first steps in the updates we want to make to the School system (there will be more school-related features in the next updates. Two new 3v3 maps are now available, as well as plenty of new gear, both in the shop and in Rift Coins/Disks. New remapping options have been added. We also fixed the bugs linked to the older remapping version. The frames values displayed in the attack details panel are now more accurate. It does not necessarily mean that the attacks have changed, the full changes are listed below. Take into account a more correct value of start-up to compute Attacks’ damage and advantage frames. Increase damage of medium and strong attacks. Mobility has a better damage bonus for Light Attacks. Hit with the arm instead of weapon. Reminder: when Parry / Absorb / Avoid are successful there is no release for the following actions : Dodge, Attacks, Special Ability. Absolver update 1.16 is available now.